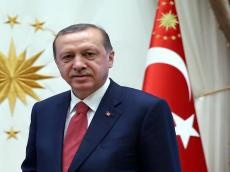 The new composition of Turkey’s Cabinet of Ministers will be approved July 9, Turkish President Recep Tayyip Erdogan said. Erdogan noted that a number of ministries are also expected to merge in Turkey, Turkish media reported July 6. He added that some laws in force in Turkey may be changed for the benefit of the people. Erdogan also noted that next March, municipal election will be held in Turkey.